Happy Monday all! Did you have a spooktacular weekend? See any outrageous costumes? The hubs and I aren't too big on dressing up, so we stayed in and had some friends over to watch Ghostbusters. We made food, punch and I decked out the apartment. But more on that later today! Right now it's time to talk about probably the best documentary I've seen in a while: Visual Acoustics. If you love photography, modern architecture and mid-century style, then you'll want to rent this movie. 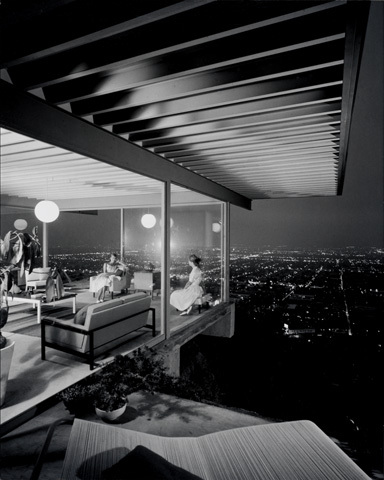 It celebrates the career of Julius Shulman, who is unarguably the guy who started architectural photography. 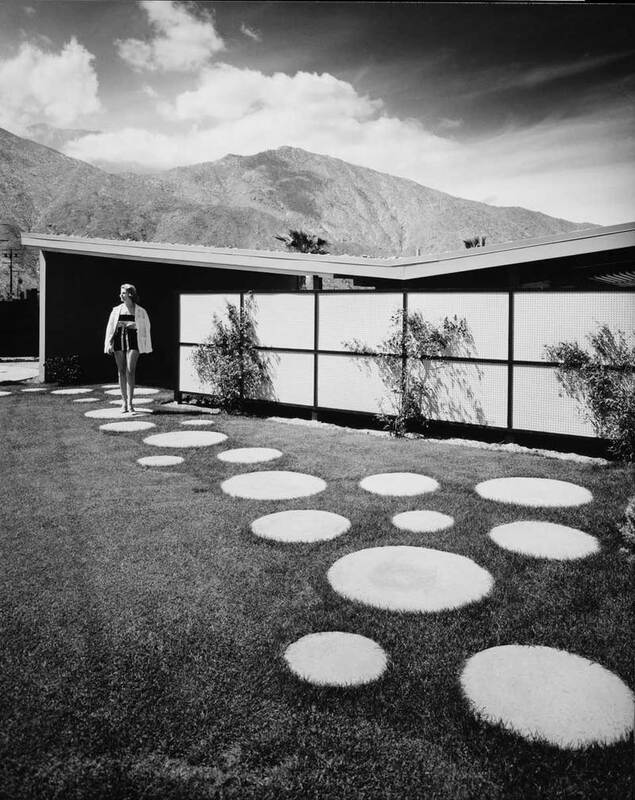 He shot almost every major modern and progressive architect since the 1930s, including Frank Lloyd Wright, Richard Neutra, John Lautner and Frank Gehry, and brilliantly captured Southern California's modernist movement. Narrated by Dustin Hoffman, the film takes you along with Shulman and the interviewer as they revisit the homes where some of his most famous work was shot, and even though he's in his late 90s he can still tell you what film he used, and the aperture and shutter speed, of each image. 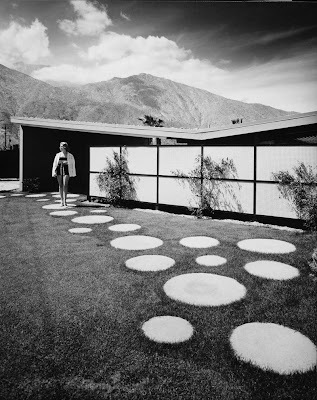 One of his most famous projects was the Case Study House Program, where architects were commissioned to design innovative, single-family homes in California. Shulman shot most, but not all, of them, and did it free of charge, even though it helped propel the careers of many now-famous architects. He also has a witty sense of humor that is really endearing, and by the time he decides to donate his life's work to the Getty Museum, you tear up as your new-found friend stands somewhat lost in his empty workroom when the movers are finished. After seeing the important work he's done, I was shocked to find a lack of feature stories written about him in magazines — with the exception of Los Angeles magazine. 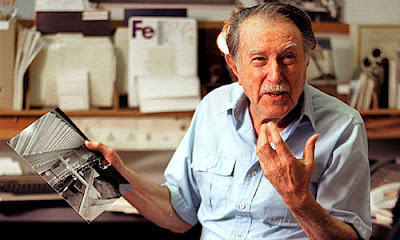 In 2009, their editor wrote a great piece about this great man, complete with an online photo gallery of his work. You can read it here. Julius died later that year, in July, at the age of 98. Thanks for the post. It looks like a great documentary.